Thanks for following my athletic journey! I've put over a decade, thousands of miles, millions of hours and a huge amount of effort into pursuing my dreams and goals and I'm beyond exited to share my thoughts, passions and purpose with YOU. From small town Texas, Logan Cunningham attended Smithson Valley High School where he first garnered his love of pole vault. 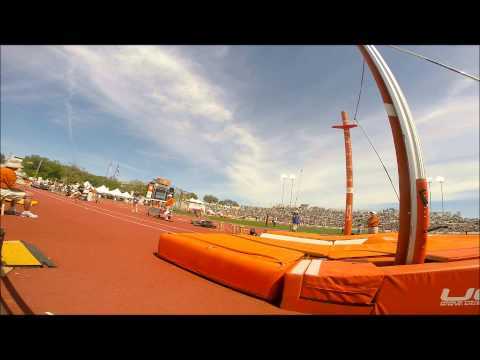 For college, he attended Texas State University at San Marcos where he would become an All-American while setting the school indoor record with a jump of 5.40m and an outdoor Southland Conference Championship. Furthermore, he was a three-time qualier for the NCAA Championships, each time a finalist. In the years following his collegiate career, Logan would experience varying successes, including a top-3 USA mark in 2014. Following a sidelined 2015 season, Logan stormed back to the scene at the 2016 Olympic Trials by jumped 5.60m, which gave him a third place finish and a trip to Rio with Team USA for the Olympic Games. Off the track, Logan is an avid outdoorsman, saying, "I love being in nature and enjoy any challenging hobbies: rock climbing, mountain biking, snorkeling, canoeing, and mountain climbing." He is, "an island boy at heart, raised country. I'm passionate about my relationship with God, slightly poetic at times, and admire anybody with a sense of humor." Adaptable to new environments, people, and situations, Logan strives to be relatable to all people, on every level, "My hope is that as good as I am in sports, I will never be too good to care about other human beings." 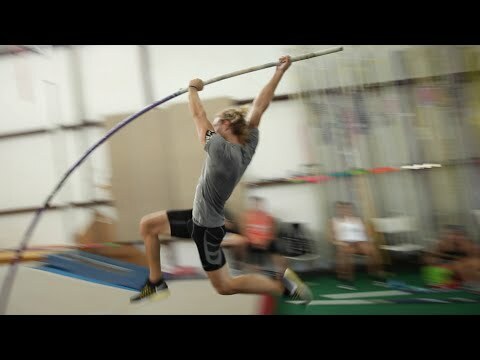 Logan trains with Above the Bar Pole Vault Club under Scott Steffan and Pat Manson in Colorado Springs, and is also working towards private coaching, personal training, group fitness, and helping to build and establish communities based upon health and fitness. When it is time to hang up the poles, he wants to use his knowledge, skills and energy to help others achieve their own long term and short term goals.